Combine classic action-adventure controls with a world that responds to your touch in a unique VR adventure. 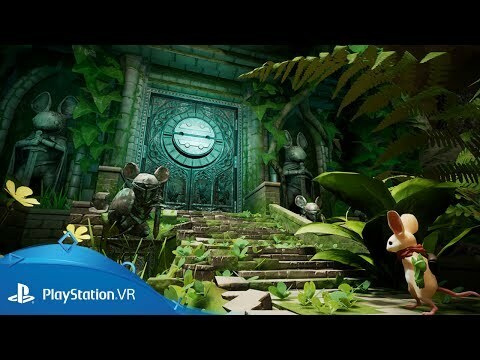 Moss is a single-player action-adventure puzzle game tailor-made for virtual reality. It takes the classic components of a great game - such as compelling characters, gripping combat, and captivating world exploration - and combines them with the exciting opportunities of VR. The result is a fully interactive and immersive player experience set in an engaging fantasy world. Quill is a young mouse who dreams of greatness beyond the confines of her sleepy community. When an ancient magic is awakened, she becomes linked with another - you, the player - who will take on their role in the story. As a distant evil extends its reach, the two of you are called together to embark on an incredible journey brought to life with storybook-style narration that will draw you into a rich world of myth and magic. 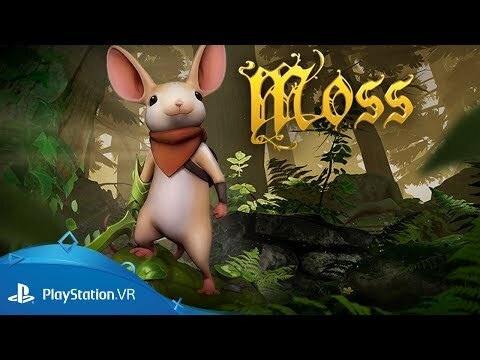 Buy Moss on PlayStation 4. Want more great VR experiences? Test your nerve inside a miniature racing world in Tiny Trax on PlayStation VR.